By using only pure ingredients we maintain the authenticity and uniqueness of our products. 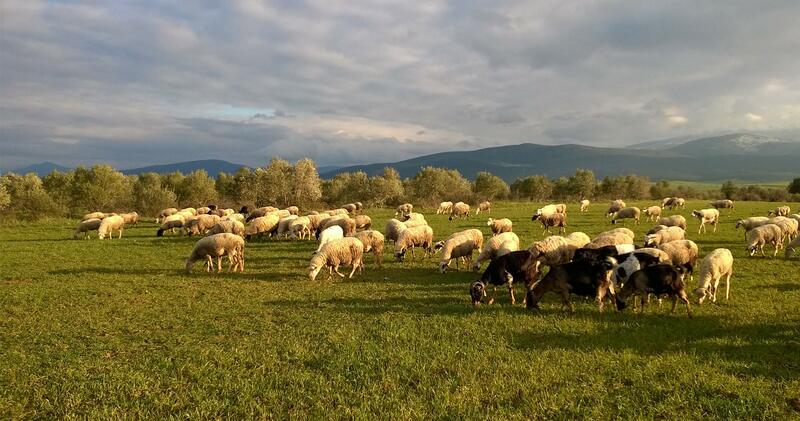 The strong links to the shepherd families of the region assure the supply of fresh milk from free-ranging herds that forage on wild rich vegetation in the traditional pastures of mountainous regions of Greece. Milk is collected through a privately owned integrated milk collecting network. Purity is an intrinsic part of our cheese-making process, from beginning to end, as evidenced by our absolute food safety measures and quality control. Under direct supervision, our agriculturists and veterinarians monitor, advise and provide scientific support to our milk suppliers on a daily basis. The dairy also supplies the milk producers with any supplemental animal feed, to ensure constant control and full compliance to the strictest requirements regarding GMO’s and/or organic farming.